The 100 Mile Club® Signature Incentive Package was carefully developed over the course of 26 years and is utilized by thousands of schools in all 50 states and internationally, as well. 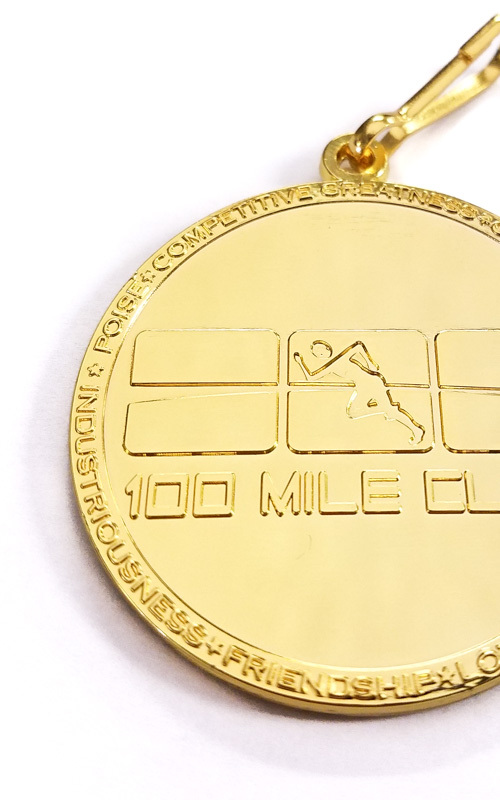 100 Mile Club schools are universally connected through our unique, signature t-shirt, MILEstone incentives, and the all-powerful quest toward earning the beautiful and coveted 100 Mile Club® GOLD MEDAL. 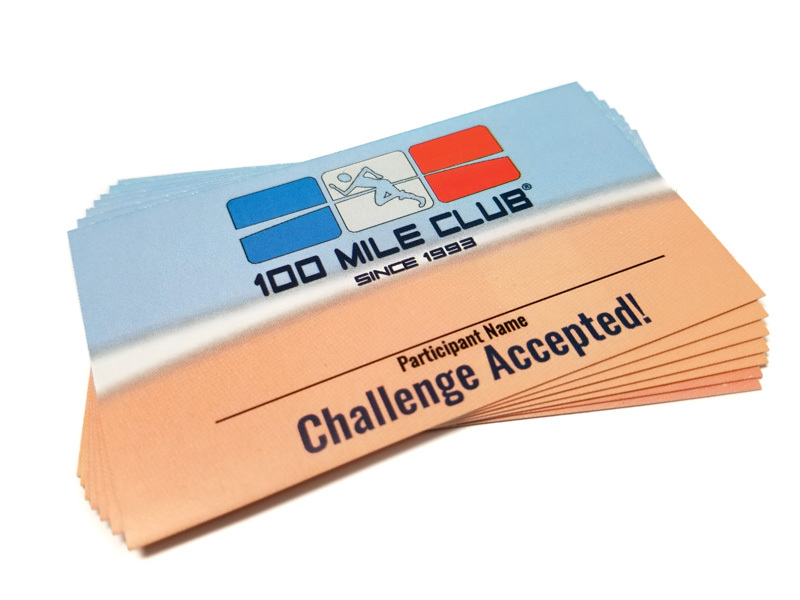 Since its inception, the 100 Mile Club has motivated and recognized students with a comprehensive set of incentives, uniquely marking milestones at every 25-mile interval. Our Signature Incentive Packages are only $10 each for schools. Our Signature Incentive Packages are all-inclusive, so much fun, and are the highest quality and most cost-effective in the business. Best of all...they work! 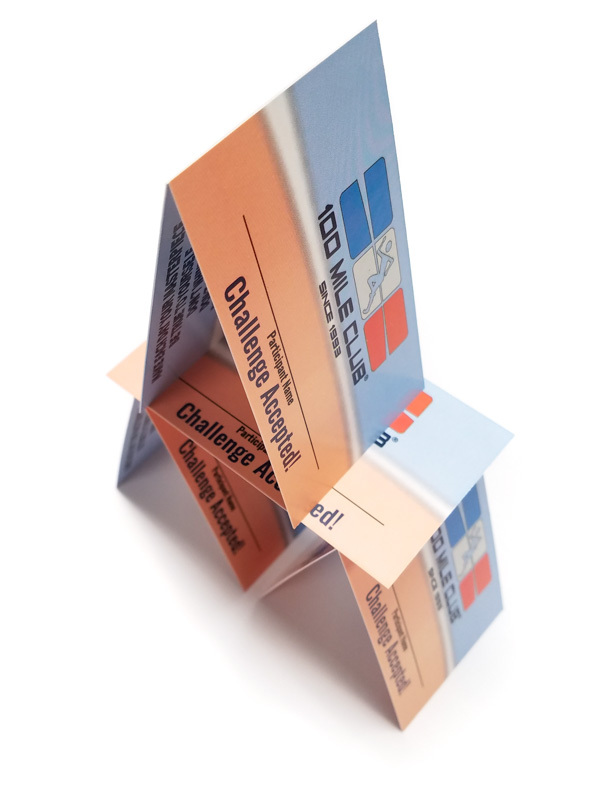 The Challenge Accepted Identification Card* is presented anywhere between mile 1-10. It will indicate to each recipient that a terrific journey to 100 miles (or more!) is ahead. On the back of the card are 5 important mantras from Coach John Wooden, reminding everyone to make every day your best, be true to who you are, and more! The 100 Mile Club® Signature Tee is earned at 25 miles. 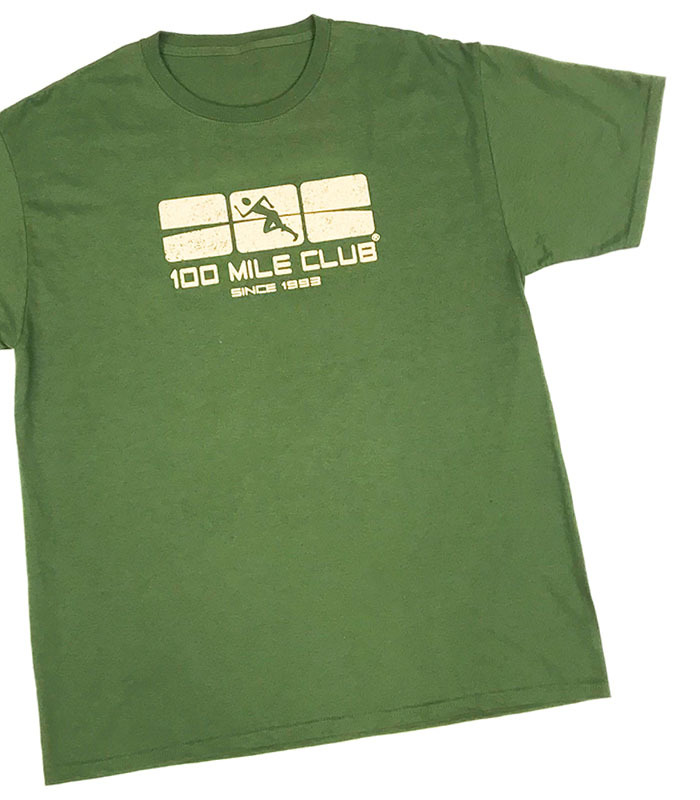 Every year, The 100 Mile Club exclusive member t-shirt color changes. No matter where you are, who you are, or when you earn your tee, your shirt will match those of every 100 Mile Club participant that year. Our Founder, Kara Lubin began hand-painting 100 Mile Club t-shirts way back in 1992. The TRADEMARK checkbox design on the back of the tee was invented on the floor of her tiny apartment during her UC Riverside grad school years. 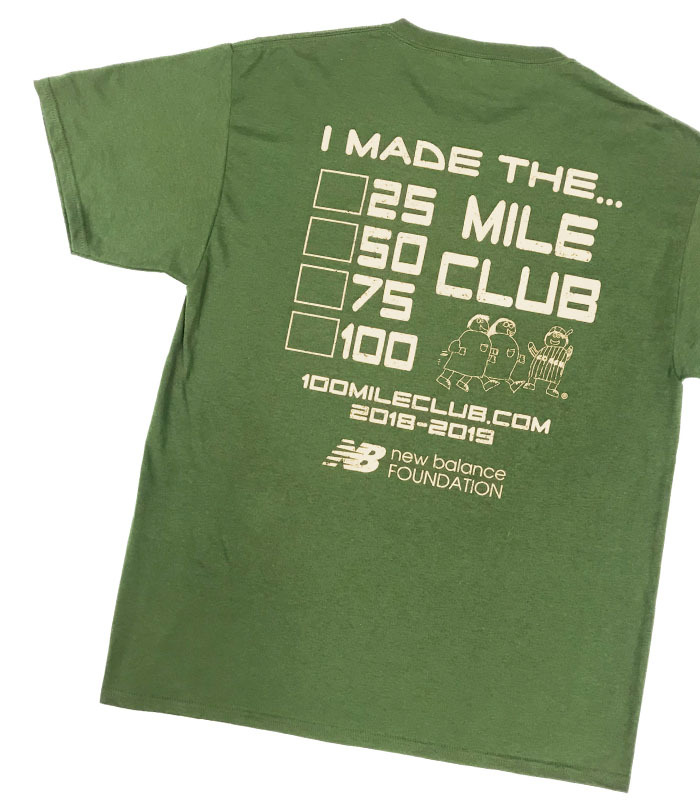 The checkboxes on each tee allow participants to track their miles up to 100 and beyond by simply marking boxes as they pass each MILEstone. The ways in which these boxes are marked are always creative and reflect the personality of the runner. As we say, “every tee tells a story”. Learn more about these incredible keepsake tees here. I’ve got a golden pencil. I ran 50 miles you see! I’m fast as fast can be! The 50 Mile Club Golden Pencil is a meaningful and useful way to celebrate the mid-way goal. 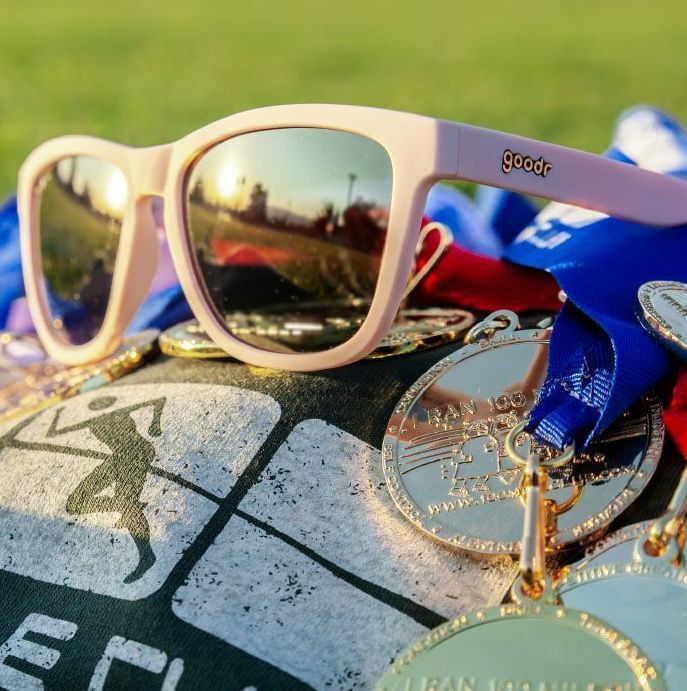 The golden color is the first taste of what it will feel like to earn that beautiful 100 Mile Club® Gold Medal and a reminder to keep seeking excellence on the field and in the classroom. Some kids use their pencil exclusively at school, even calling it “good luck”. Others save it for a rainy day or keep it safely tucked away as a memento of their 50-mile journey…the half-way point to their 100 mile goal. Everyone loves a wristband…especially if it is earned! Some coaches launch these into the air, celebrating 75 miles with cheers and WOOHOO!s, and some present them with quiet dignity or gently and ceremoniously place them on their runners’ wrists. Either way, once runners hit this point, there’s no turning back. They will be determined to make it! 100 is just around the corner. Always earned. Never given. That’s how it works in 100 Mile Club®. 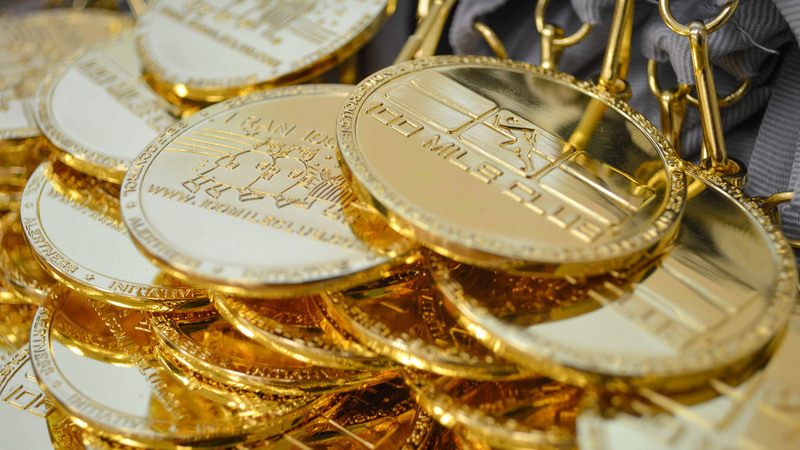 Earning and receiving the 100 Mile Club Gold Medal are quintessential moments in the 100 Mile Club experience. The medals are GORGEOUS and so meaningful. On the front, you will see our logo and essential life skills learned and experienced during the 100 Mile Club® journey. The back of our medal is playful yet elegant, exclaiming “I RAN 100 MILES!” accompanied by our little Brian People and more essential life skills. 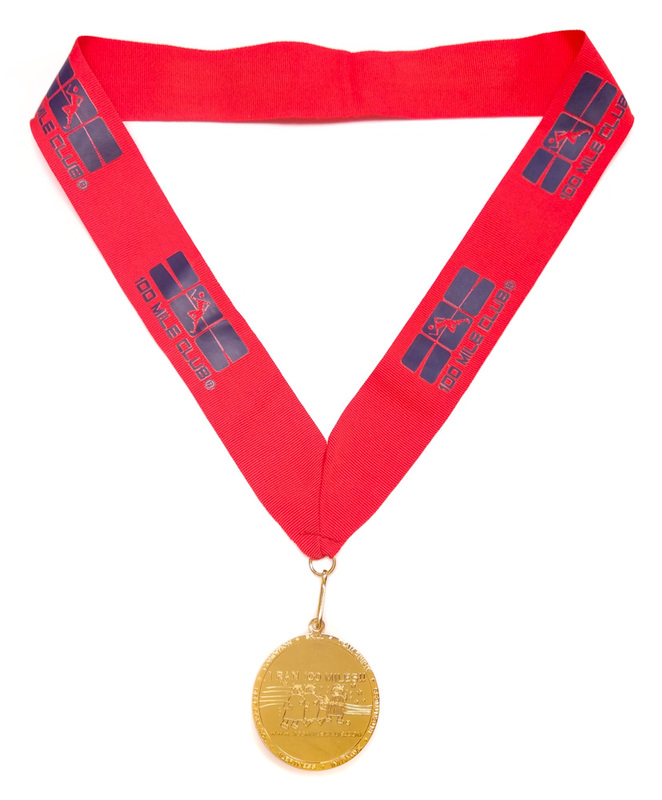 Our GOLD MEDALS are ordered by site coaches and shipped in late Spring for students in the 100 Mile Club ORIGINAL Gold Medal Program who have reached 100 miles or more. 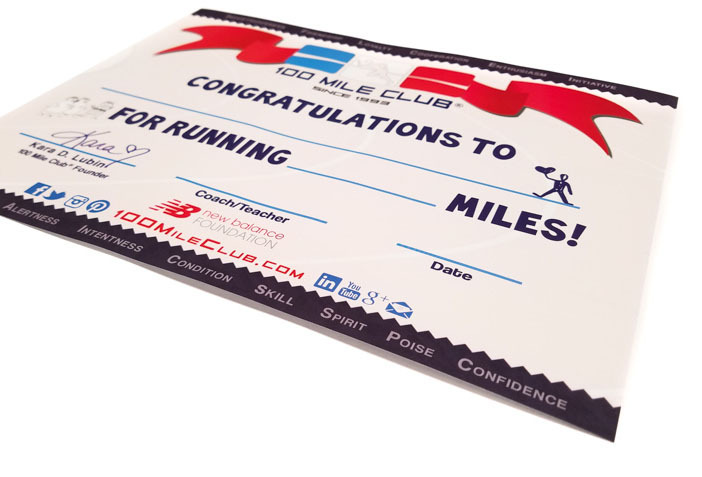 Printed on high-quality, glossy, heavy-bond paper, the Year-End Certificate is awarded to each participant, regardless of miles achieved. These are presented at the year-end medal ceremony and are kept in memory books all over the world.